About Us - Anieka's Hope Foundation, Inc.
Anieka's Hope is a non-profit charitable organization founded in the state of Georgia. The organization was founded in 2013 as a tribute to our namesake, Anieka Cherie Peeks. Anieka was a strong proponent of education and lifelong learning, and always went out of her way to help anyone who was trying to better themselves in any way. 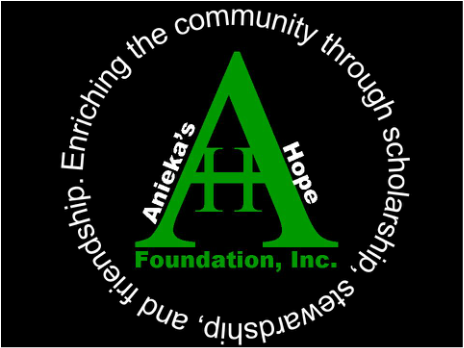 The Anieka's Hope Foundation, Inc. was founded shortly after Anieka's death by her family who was determined to keep her spirit and community activism alive. Through volunteers and donations, the foundation will be able to help those in the community who need it most to be the best version of themselves.